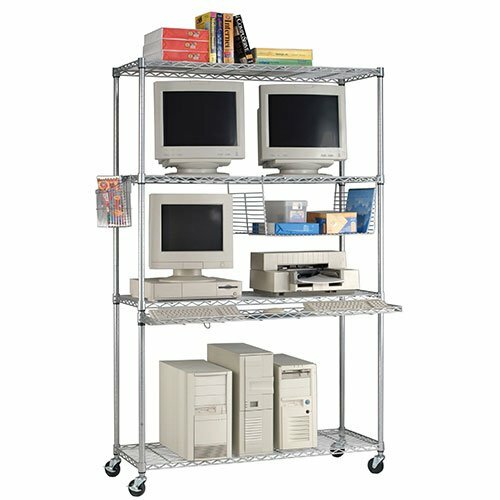 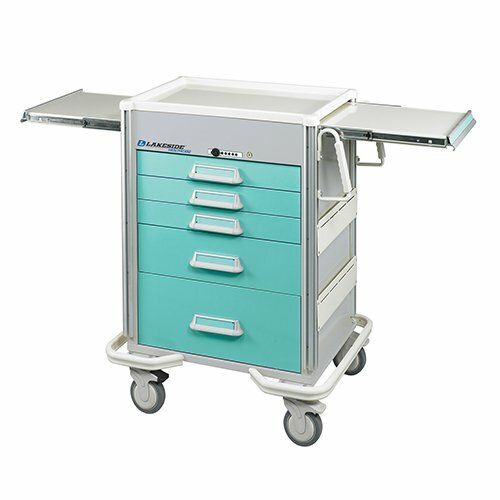 Our Media & Utility Wire Carts come with 2 heavy duty shelves, 4 posts with built in handles and 5″ casters. 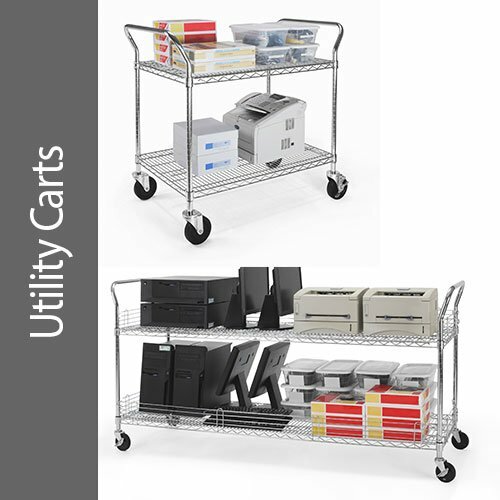 All carts stand at 30″ tall (37.75″ to top of handles) and can be ordered in either 18″ or 24″ depths. 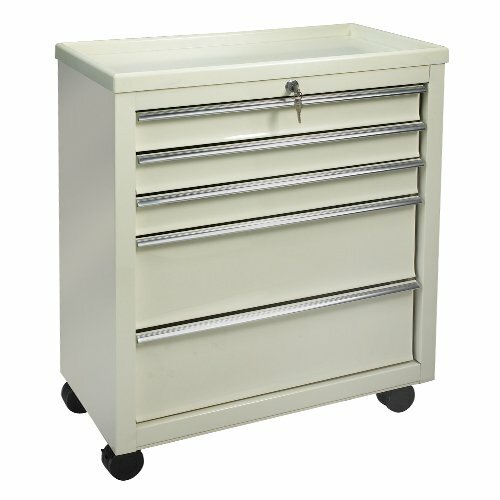 36″w x 18″d x 30″h (37.75″h w/Built-in Handles) Weight: 32 lbs. 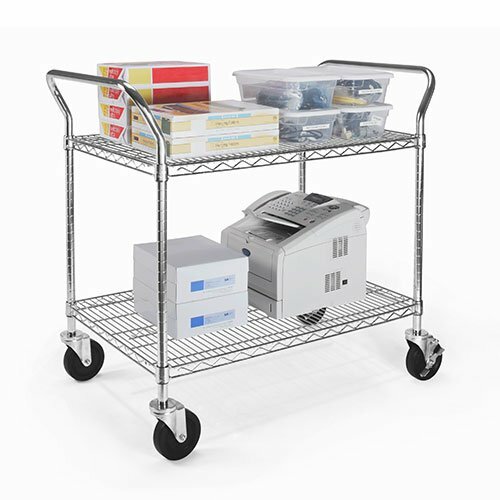 48″w x 18″d x 30″h (37.75″h w/Built-in Handles) Weight: 37 lbs. 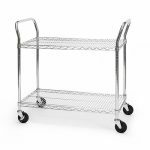 60″w x 18″d x 30″h (37.75″h w/Built-in Handles) Weight: 49 lbs. 36″w x 24″d x 30″h (37.75″h w/Built-in Handles) Weight: 41 lbs. 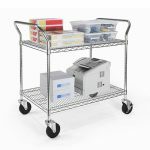 48″w x 24″d x 30″h (37.75″h w/Built-in Handles) Weight: 48 lbs. 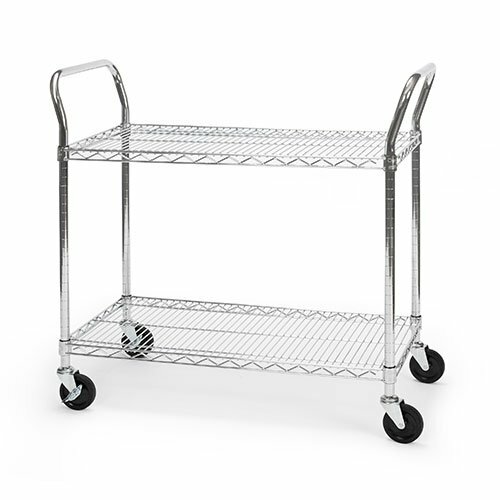 60″w x 24″d x 30″h (37.75″h w/Built-in Handles) Weight: 61 lbs. 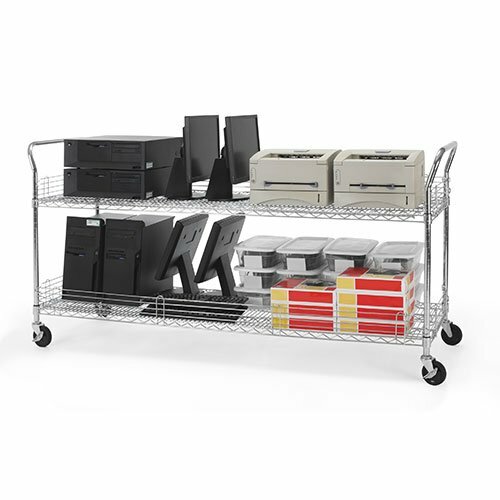 72″w x 24″d x 30″h (37.75″h w/Built-in Handles) Weight: 69 lbs.